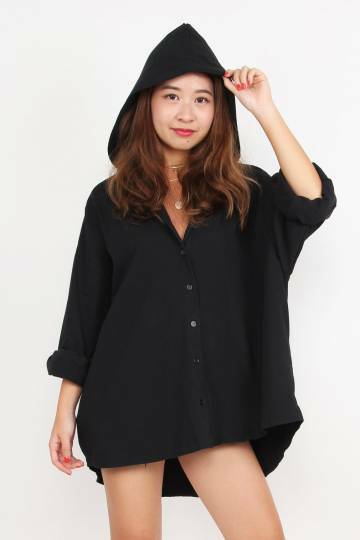 Relaxed Hoody Shirt features oversized fitting, functional button closure, side pockets and asymmetrical length. It can be worn as an outerwear too! Back Length of Top 30.5"